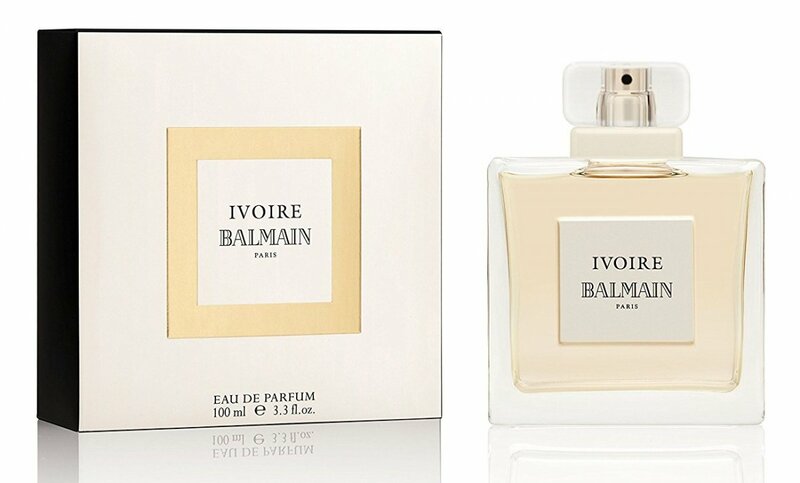 Ivoire (2012) is a popular perfume by Balmain / Pierre Balmain for women and was released in 2012. The scent is floral-fresh. It was last marketed by Inter Parfums. This is an outstanding example of a 'fume that is delicate on on-putting, & causing one to wonder whether a heftier 'fume would have better served; but on one's going forth into the world is just relentless, and is just never through making its slender & delicate presence clearly felt! It sparkles like delicate cut lead-glass, & chirps like a little bird perch't in a tree. I'm minded of some seemingly fragile lace garment that one puts on, & then one goes up & down ladders carrying bricks, crawls under a motor-vehicle fixing the engine, herds some buffalo, tames some wild horses, plays a game of rugby - all kinds of rough & heavy work & sport: & behold! it is still intact! I never tried the original one, but this new version is not bat at all. It reminds me of some old florals that were soapy, woody and that had the floral part very dry and sober. I expected it to be maybe fruity due to the color, but it's not. It opens with a faint aldehydic suggestion, a little bit soapy and bitter, and then turns into a dry floral. The base is woody on me and the vetiver is what calls my attention the most. It's very subtle indeed, they could do a more intense version. I am torn with Ivoire (2012). On one hand I love it, on another I feel betrayed that it's not the complex genius that is the original Ivoire. I had to take a step back and try it twice prior to writing this review. I needed to see the new version through modern eyes and not with nostalgic eyes. 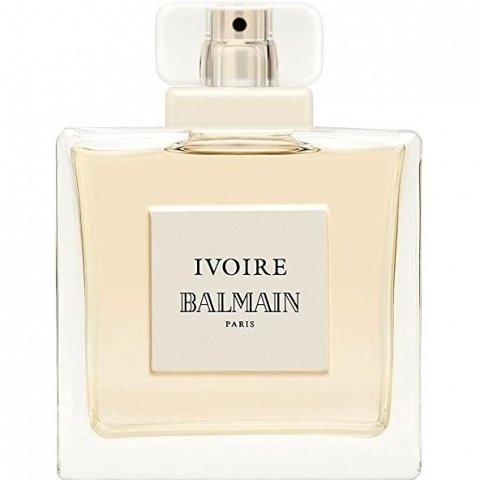 I love the original Ivoire and it is truly a timeless classic, but there are the ingredients in it that either cannot be used in modern perfumery or that will soon have the death knell sounded on their use. Also, tastes have changed over the years and a lot of the old chypres have fallen out of favour, unfortunately, with the buying public. So I tried to forget it's namesake as I tried this new version. This is, honestly, a gorgeous fragrance. Taken on it's own, without reference to the past, it is a masterpiece in my opinion. It bows in hommage to it's namesake and there is no mistaking it's heritage, but it is a very modern take on a exemplary chypre: smooth, soapy, woody. This makes me feel as if I have washed with expensive soap, the way I used to before shower gels took over the world. It's clean and comforting, very elegant and distinctive. Initially, it is quite green with the mandarin and violet leaf very evident. It is exactly like taking a violet leaf and crushing it in one's hand and smelling the almost cold, green woody aroma. After a while the scent warms and the rose and iris appear along with the undertone of cedar and vetiver. I cannot make out the patchouli in this perfume, nor the vanilla, but it is so well blended that it is difficult to make out any one note as a non-professional. However, this isn't a problem as the fragrance dances on the senses and makes one fall in love quite easily. Several hours later it is still very evident, but the cedar is the strongest note and it is at it's woodiest at this point. In a far off land there is a temple dedicated to Ivoire de Balmain. The original perfume in a flacon of pure diamond sits atop a granite altar as a precious goddess to be worshipped. Prostrate at the base of this altar is a young, strong woman in linen and leather paying obeisance to the goddess who breathed life into her. The reinvented Ivoire deserves to have its praises sung. An Aston Martin is still an Aston Martin whether Sean Connery or Daniel Craig is behind the wheel. I’ve taken Ivoire for a spin and she’s still a classy number. For those who don’t know the original, the best comparison, to my nose, of the new incarnation, is Noa by Cacharel. Ivoire’s new bottle will stimulate style comparisons with Chanel 19 Poudre and Elie Saab’s creation by Francis Kurkdjian. The success of Ivoire will be due to Michel Almairac’s interpretation which retains the integrity of the original. Top marks for my favourite perfumer (in collaboration with Jacques Fiori) It's also an amazing price! I was raised in an urban environment but I wouldn’t be a Kiwi if I didn’t know the scent of wool, rich in lanolin, off the sheeps back. Lux Soap. Sink a lightweight merino sweater into a gentle woolwash and the heavenly scent of clean and natural rises with the ribbons of steam. The temperature has to be just right. This is Ivoire, delicate but strong, simple but elegant. She’s homespun but electric with curiosity. This would be quite virginal on a man. It’s possible that Ivoire and a spray of Molecule 01 could raise the birth rate. I’ll pass the baton. Write the first Review for Ivoire (2012)!